Food safety regulator called company's responses 'disturbing' for relying on technicalities. It's almost an existential question: if the dried noodles are not mixed with the masala, is it still Maggi? As far as Nestlé, the Swiss food and beverages behemoth that manufactures the instant noodles, is concerned, it is only really Maggi when the noodles and the powdered flavouring masala are mixed in boiling water. This explains why the company's own tests of lead levels in the noodles have been far below that of official tests by Indian food regulators, and it is also why Maggi has currently been banned. After Maggi noodles packets in Uttar Pradesh were found to have excessive amounts of lead, leading to tests and banning of the product around the country, Nestlé was given a hearing with the Food Safety and Standards Authority of India. 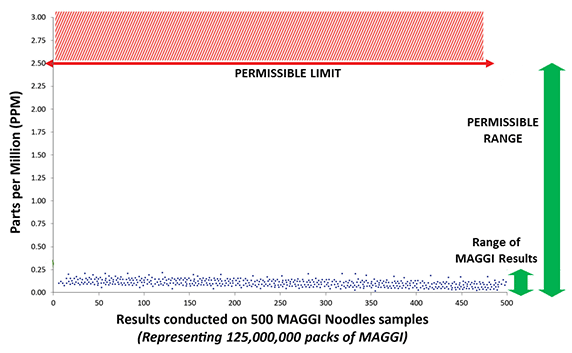 Here, it asserted that the way authorities were testing Maggi was wrong, pointing to its own tests of Maggi showing that lead amounts were well within the limits. "The Product contained two parts i.e. the Noodle and the Tastemaker. The samples had been tested for each of the two components separately whereas it should have been tested as a combined end product, i.e. the form in which it is finally consumed," Nestlé told FSSAI. Essentially Nestlé argued that the test for lead could only be done once you've dipped the dried noodles in water and then adding the masala – ignoring the fact that an entire set of Maggi fans have developed all sorts of ways to eat the noodles without boiling, them, including eating them dry, as manufactured. Nestlé's argument however, did not convince the regulator. In an order passed on June 5, the FSSAI said that the prescribed standards of 2.5 parts per million would have to apply to all components of the product. Out of the 13 samples tested by Delhi authorities, 10 of them had lead content exceeding this limit. The original sample from Uttar Pradesh, which raised the alarm in the first place, had 17.2 ppm of lead. The FSSAI, in its order, said that the final process of preparation – in this case boiling the noodles in water and adding the masala – had "no linkage" with the manufactured product and that compliance had to apply to both items. It even pointed out that the water it is mixed in may contain lead, for which the company would not be liable, so that form of testing could not apply. As a result, FSSAI ordered the company to "withdraw and recall all the 09 approved variants of its Maggi Instant Noodles from the market having been found unsafe and hazardous for human consumption, and stop further production, processing, import, distribution and sale of the said product with immediate effect." It also found two more problems with Maggi products. The first was the "No MSG added" label, which FSSAI found was inaccurate labeling, since the product does include Mono Sodium Glutamate. Nestlé argued that it didn't "add" MSG, just that it was naturally occurring in the ingredients used, but FSSAI has nevertheless asked it to remove all labels that effectively assert there is no MSG in it – a solution the company itself offered to do, saying it had only been following the industry standard. Most problematically, FSSAI pointed out that Maggi Oats Masala Noodles had been put on the market by the company without completing the process of risk assessment. Nestlé used a technical argument to insist that the approvals process had been stayed when it launched Maggi Oats Masala, an approach FSSAI called "disturbing." As a result, 9 approved variants of Maggi noodles have been ordered off the market, FSSAI has told Nestlé to remove the "No added MSG" labels and the Oats Masala variant has also been recalled. 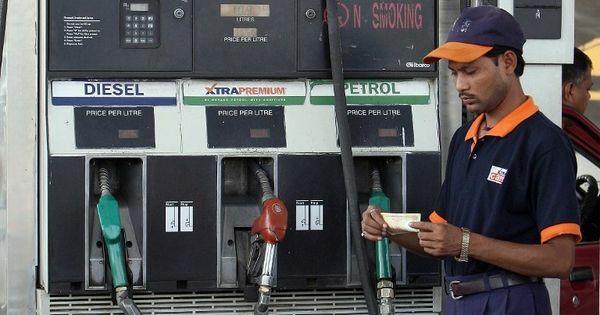 The regulator has asked the company to provide a compliance report on this within three days.